s, fiber, and sticks to make your first tools. Overall the game is quite smooth for how many players are on the beta servers and the community is very welcoming. Similar to Wurm Online, everything is made by the players and the economy is also controlled by players from all over by use of Trading Post buildings. You can pretty much do whatever you like from taming animals, to farming, to raiding, or just living the simple life in a wood cabin in the middle of the woods. Life is Feudal allows a lot of freedom, but it limits you on how many skills you can level, so going it alone is almost impossible unless you delevel skills in order to level others. 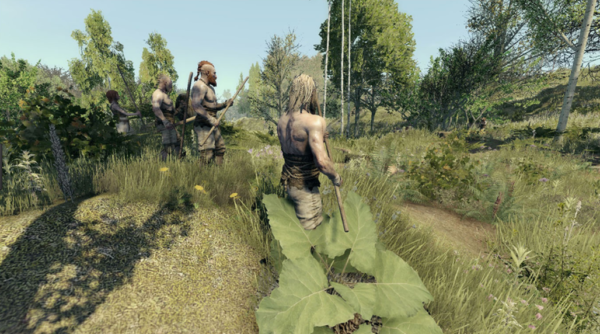 The game is best played with a medium to large group, which also helps to keep raiders away from your claim. The first thing you do when you join the servers is create your character. There are a few options for races, faces, and hair styles, but they are also pretty limiting. There are three races, each with their own unique starting “rags” for an outfit. This outfit offers no protection so it’s best to replace it unless you’re role playing as the village peasant. The descriptions for each race are purely for Role Play scenarios since it claims some prefer ships while others prefer horses or huffing it on foot. The options for the faces and hairstyles give a slight difference that really isn’t noticeable from each other since they are extremely close in appearance to begin with. Where the creation process shines is instead in the next part. After choosing your appearance, you then get to select your starting skills. This is important since you’ll need certain levels in each skill to perform certain actions throughout the game. While these can be changed, it is a very lengthy process later so it’s best to have an idea of what you want to do in the game from the start. That will also help you find some friends to play with if you’re going in alone as well. Before we continue, I’ll touch up on the skills and some of the progression involved with levelling those up. To start, there are three categories of skills: Basic Actions, Fighting Skills, and Crafting Skills. You’ll have around 45 total points to put into these skills during character creation. Each category has its own skill point limits which will prevent you from going passed a certain amount in total. Lets start with Basic Actions. These are the skills that will determine your basic actions, such as emotes, interaction with players, and other things like Art decorations. Within this category, most of these don’t matter much, but you can customize them a bit to your liking which can determine if you can bless other players or make art decorations. Next is Fighting Skills. This category is exactly what it sounds like, fighting skills, and they determine which weapons you can use and what battle techniques you have with those weapons. It’s best to find which weapon style you like best and level that one since you’re limited to maxing out one or two of these skill types. For me, I chose Half-Hand swords and bows since I always fight on my horse and hunt with my bow. It was a nice balance to allow some freedom, but there are many weapons from polearms, swords, axes, to lances and crossbows. Find which one suits you best! the objects crafting by these skills. For starters, you’ll get to choose how you start out in the carpentry, digging, herbalism, and a few others. These will determine what you can do from the start. (Note: you’ll need level 30 in Digging before you can level an area and build anything, so if you’re alone, I recommend putting the points in that to start out.) As you get the first skills in this category to 30, you’ll unlock the next tier which will open up more options on what you can do. However, since you’re limited to 450 total skill points used in this tier, that means you’ll only be able to max out 3 skills with 50 points in another. This is also where having a group to play with will give a huge advantage allowing you to focus more on the skills you want to do and not those you need in order to do them.Progressing each skill is done by using them, similar to Wurm Online. Sometimes finding the tiles where you can use those skills is a difficult process and if someone has claimed the area where they are located, you won’t be able to do anything with them. This is just another reason why it’s best to play with a group. So next up is building your first home! To do this, you’ll have to flatten out an area of 2×4 tiles. This will give you enough room to place down a shack made with either wood or clay. While this won’t protect you from attacks, it is a start and you’ll be able to expand as you go. After this, you’ll want to make your personal claim’s totem. The totem will give you a small claim that is yours and only yours. This will protect your building from being claimed by someone else and allow you an area where you can expand freely without complications by other players. You can dig a mine on your claim or just use this land for storage since no one can interact with storage on your claim unless it’s PvP Hour. The next step would be to build some storage since you’ll only be able to carry a small amount of items in total. Bark Boxes are the easiest thing to make and they will allow you to store 50 stones worth of items (stones is how the weight is measured in the game). These boxes will only allow you to store the smallest of items, but it’s great for things like fiber, food, and herbs. With that out of the way, you’re all set to expand and continue doing whatever you like to do! It’s respectful to check the area around you before placing your claim however, since you don’t want to intrude on someone’s established claim as it might cause tension which could be bad for you in the end. I’d recommend scouting an area before you flatten it out and make sure no one else is around. One way to do that is by pressing Alt + F3 which will permanently show players claims around you. If you don’t see any red tiles, then you’re in the clear to build. Your claim will show in green so you’ll be able to find it easily once it is placed. 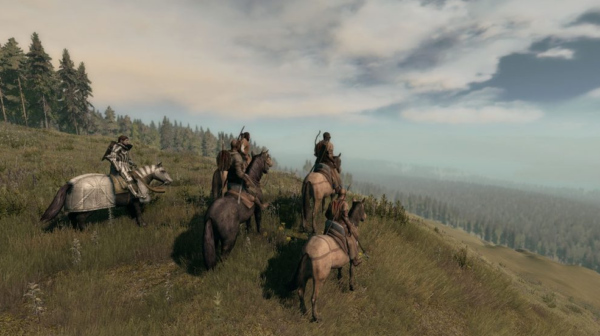 PvP is set up in an open world format. You can fight as a group or solo. While you can PvP at any time in the open regions, you won’t be able to attack anyone’s claim unless it’s during the PvP hour. This allows you to hunt for other players once you are established if that’s what you like to do, but the punishments are pretty rough. Killing non-criminal players will hurt your reputation. At -50 reputation you are declared an enemy to all and everyone can attack you freely even on your claim (and they probably will). Having a negative reputation also effects your “Pray” skill which is a skill that can teleport you back home to whatever building you mark as home. The skill doesn’t always work though, so don’t count on it always if you have a good reputation. s and stealing their animals and other useful items they may have. Just remember, during this time, they can also attack you, so leaving your base undefended can be a downside to attacking others. Well, you can see the world map by pressing M, and that will show your minimap so you can zoom out and look at the region around you. 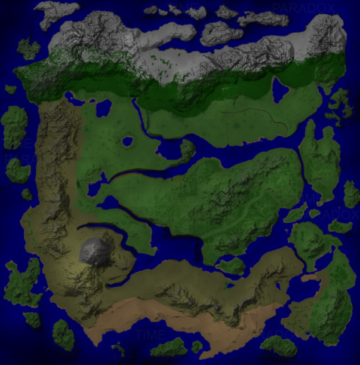 The game world consists of 54 islands which are all going to be inhabited by different players. Since the entire world is built by players, there are no set regions for building and you can claim the area that fits you best. Having such a large world means you’ll not often run into other players, but there are thousands of players on the server, so that large world shrinks pretty quickly once everyone has claimed an area. You’ll be able to find key resources and other materials that you’ll need by looking at the map for certain colored areas. Light brown areas mark clay, white areas mark marble or granite, and grey areas are stone tiles. By knowing this, you can find a place where you’ll have easy access to all of the materials that you will need for building and progressing through the game. You can see the help window by pressing F1 which will show you the basic tutorials and everything else you will need to know for how to play the game. Sadly, when you’re first starting out, this is not mentioned and can leave many confused as to where to begin. Overall the MMO is a great game for playing with friends! If you’re looking for a friendly and helpful community who works together and weeds out trolling players who disrespect others, this game is definitely for you. Much like Wurm Online, the community is full of great people who enjoy meeting new players and will help them learn everything they need in order to progress at a quicker pace in the game. Are there bugs? Sure, but they don’t happen often and a console command can reset your movements to break out of it. The most common bug is where your character will randomly stop doing actions and lock up, where others are just getting stuck on the ground and bouncing, or your movement will freeze but you can still do things. You can also relog if the console command doesn’t fix it, or use /stuck command to teleport back to the ground if you’re bouncing. The game is best played with friends. 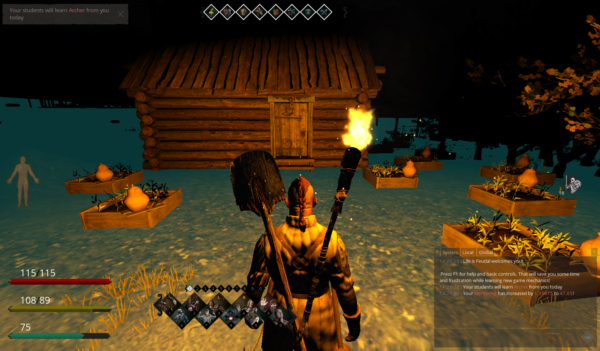 You will find a lot of difficulty if you attempt to play the mmo on your own. For solo play, I recommend playing LiF: Your Own, since you can customize your game world to allow all skills so you’re not limited to any specific role. Is the mmo worth playing, absolutely. It’s fun and provides you with enough freedom to fill any role you desire to play and if you want to change that role later, you’re free to do so. Taming of many types of animals from chickens/rabbits to horses/cows.